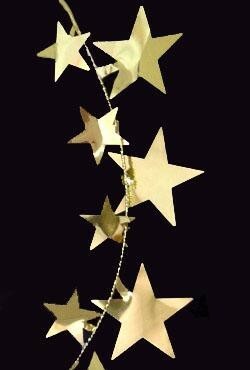 This wire garland is adorned with gold stars in assorted sizes and measures 9 feet long. 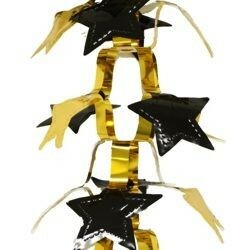 This is also sold by a 1 dozen (12 pieces) bag. 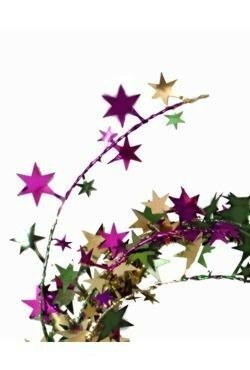 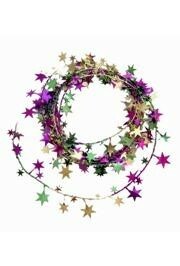 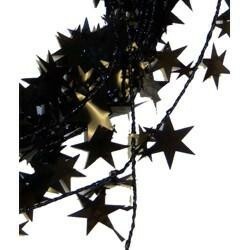 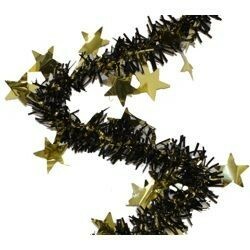 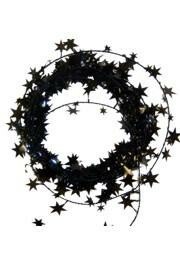 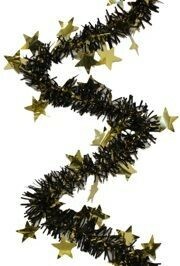 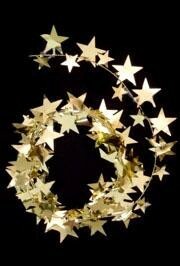 Use the metallic black star wire garland to decorate parties and Mardi Gras floats and events. 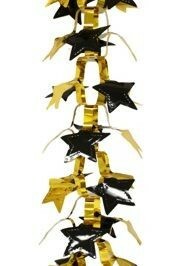 It can also be used in all sorts of craft projects.